CubeBackup - How to solve the &#34;Username and Password not accepted&#34; or &#34;EOF&#34; error when sending a test email via SMTP? 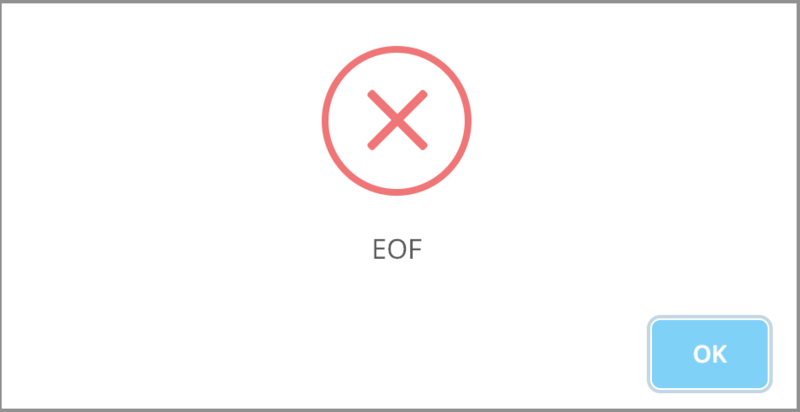 How to solve the "Username and Password not accepted" or "EOF" error when sending a test email via SMTP? 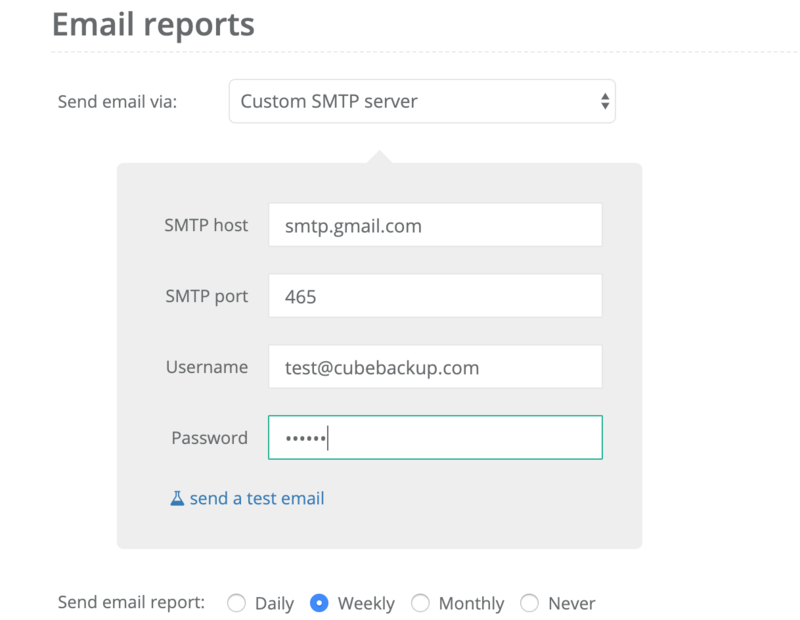 As a backup administrator, you may wish to use a “Custom SMTP Server” to send backup status reports. 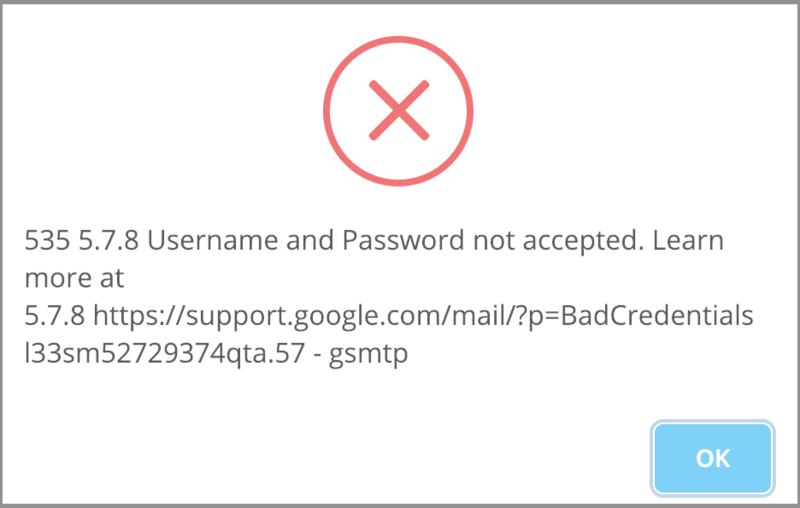 However, even after entering the correct information for the SMTP host, port, username and password, you might still run into a “Username and Password not accepted” error or an “EOF” error when clicking the “send a test email” link. First check to make sure you are using the correct user name and password. If you are using a GMail account as the sender, considering change the SMTP port from 465 to 587. If you are using a Google account to send email reports, you may be rejected because Google blocks non-OAuth logins by default. In order to make SMTP mail reports work, the “Allow less secure apps” setting may need to be enabled. In the “Less secure app access panel”, click Turn on access. If none of the above tips worked, you can try a different email account, such as a Yahoo or Outlook account. If you have your own SMTP service inside your company, please use it instead.